The voting for the Delhi University Students’ Union has begun. The voting will be done till 7:30 in the evening. 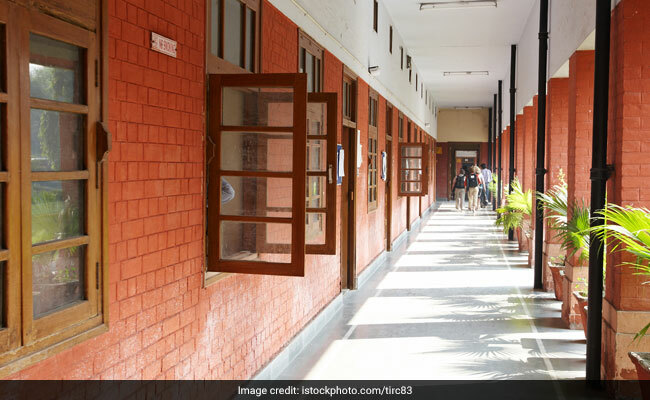 Through the voting process, students of Delhi University will elect President, Vice President, Secretary and Joint Secretary for the Students’ Union of their respective colleges. The counting for the votes would be done tomorrow. All parties that are contesting elections this year have requested students to come out and register maximum percentage of voting. As many as 1.35 lakh students would be voting in the election to decide the fate of 23 candidates. The voting process for morning colleges will be conducted from 8:30 am to 1:00 pm and for evening colleges will be held from 3:00 pm to 7:30 pm. Students must carry their identity cards to the polling centres. All such first year students who have not been issued an identity card yet can also vote. They would have to produce a duly verified fee receipt along with any of the following IDs: Voter Identity Card, Driving License, PAN Card, and Aadhaar Card. This year AISA and AAP’s Students wing CYSS are contesting the election jointly this year. The AISA-CYSS alliance has fielded Abhigyan for President, Anshika for Vice President, Chandramani for Secretary, and Sunny Tanwar for Joint Secretary. ABVP has fielded Ankiv Baisoya for President, Shakti Singh for Vice President, Sudhir for Secretary and Jyoti Choudhary for Joint Secretary. NSUI has fielded Sunny Chhillar for President, Leena for Vice President, Aakash Choudhary for Secretary and Saurabh Yadav for Joint Secretary.